You may be surprised at how inviting and thoughtfully designed these homes are and at the range of amenities offered including barbers, beauty, salon, spa treatments and more. We invite you inside for a brief tour. Last fall, Nichols Village hosted a brain healthy eating presentation. 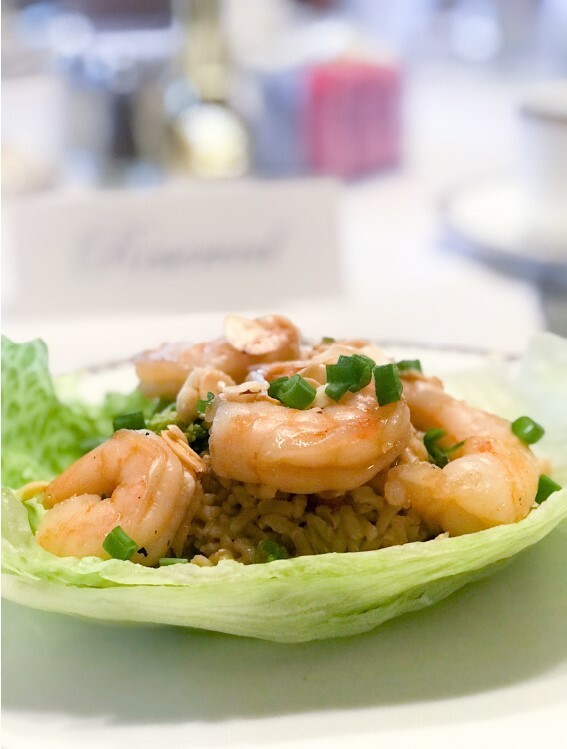 The community chef made this shrimp stir-fry with brown rice using a recipe from Nancy Emerson Lombardo’s “Brain Health Food: Menus and Recipes.” Nichols Village is hosting another brain health presentation by Lombardo this April. Photo courtesy of Nichols Village.